Real Madrid coach Zinedine Zidane indicated that Cristiano Ronaldo will feature in the UEFA Super Cup against Manchester United after travelling with the squad to Skopje on Monday. Ronaldo was surprisingly named in the reigning European champions' group for Tuesday's match in the Macedonian capital after only returning to training with his club over the weekend. His summer has been overshadowed by accusations of tax evasion in Spain, which led to him appearing in court last week, and speculation over his future. According to a report from Spanish radio station Cadena Ser, Ronaldo told the court he "would like to return to England" due to his tax troubles in Spain. The World Player of the Year was handed an extended summer break after playing for Portugal at the Confederations Cup in Russia. He also reportedly became a father to twins in June. But despite all that, Zidane said: "There have been a lot of things happening, a lot of noise around him as always, but he is relaxed." 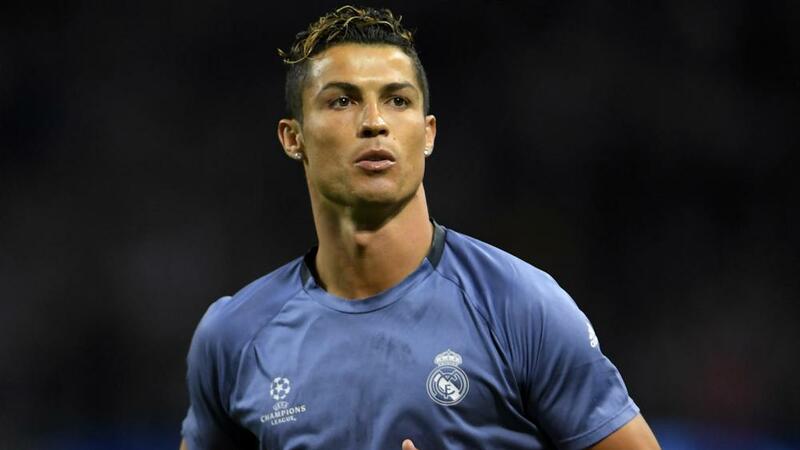 Ronaldo's last club appearance saw him score twice in the 4-1 Champions League final win over Juventus in Cardiff in early June as Madrid successfully defended the trophy. "What impresses me the most about him is that physically he is just as he was on the day of the final, which was two months ago now," Zidane added at a press conference at the Philip II Arena. "In the end that is what interests me, him and everyone else. "The fact he is here with us means a lot because if he is with us he is here to play." Having not played any part in Real's pre-season tour of the United States -- which featured a defeat on penalties to United in California -- it would still be an enormous surprise if the 32-year-old started in Skopje against his former club. However, he took part in training on the Skopje pitch on Monday evening and he could get some game time as part of his preparations for the first leg of the Spanish Super Cup against Barcelona this Sunday. "Cris is a very important member of our squad," said skipper Sergio Ramos. "It is important too that he travels with the team. He has a different role to any other player and his presence with us is always good, whether he plays or not." Zidane took his entire 24-man squad to Macedonia for the game as Madrid look to win a trophy they also claimed last year, when they beat Sevilla 3-2 in extra time in the Norwegian city of Trondheim.